Tom is a Wealth Planning Advisor who works with individuals to help them determine their life insurance, retirement, and estate planning needs. He also works with small businesses and corporations to develop employee benefit programs, business succession planning, executive benefit plans, and insurance plans. He has more than 25 years of experience in the financial services industry. Before his time at Lincoln, he spent 18 years in the oil and gas industry as the owner of Sunbelt Oil CO from 1974-1984, an oil and gas distributorship, which he sold to Harken Energy Corporation/EZ Server Petroleum Marketing Company. 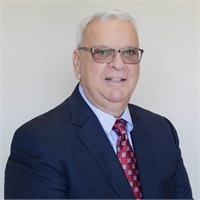 During his tenure with Harken, from 1984-1992, he served as Regional Manager, Vice-President of Marketing and as Executive Vice-President of Operations. Tom is a member of the National Association of Insurance and Financial Advisors. He earned his bachelor’s degree from Northwestern State University of Louisiana. He has been married to his wife Vickie since 1972, has four children, and 14 grandchildren.